Great single family home on a large corner lot with AMAZING views of the mountains! 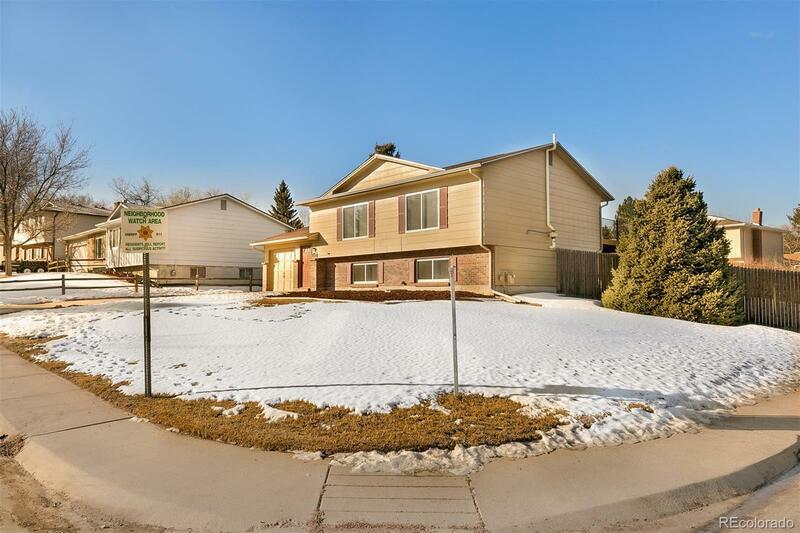 This home boasts an expansive yard with lower patio and great newer upper deck offering breathtaking mountain views. The home was recently updated, with newer kitchen and bathrooms. Enjoy a wood burning fire in the lower family room, and make use of the additional flex space in a variety of ways: office, game room, play room, workout area, etc. Located just 10 minutes from Red Rocks and 25-30 minutes from downtown Denver, with easy access to I70, 285, and the mountains. Just blocks to Trappers Glen Park, and minutes to restaurants and shopping. This is a great starter home for anyone looking to live in the Morrison area - a gateway to the mountains!